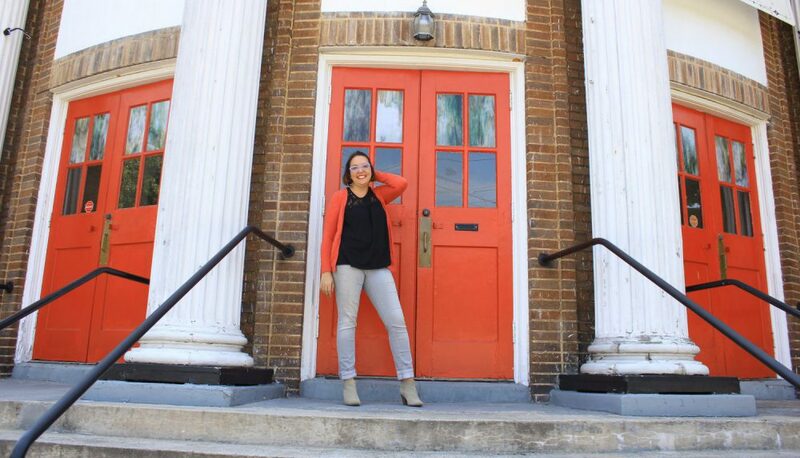 She doesn’t pray, my friend who has lifted the cuff of her corduroy pants to show me the socks I gave her on her birthday, peeking above her black boots. Not in the ways that I learned, she does not fold her hands or bow her head. She does not recite words that others have recited before her. She sees her saints live in concert. She doesn’t pray, but she wears unicorn socks in solidarity. To me, it feels like being prayed for . Sometimes we pray with our feet, with our socks, with anything that takes us outside of ourselves and puts us with the suffering of another. 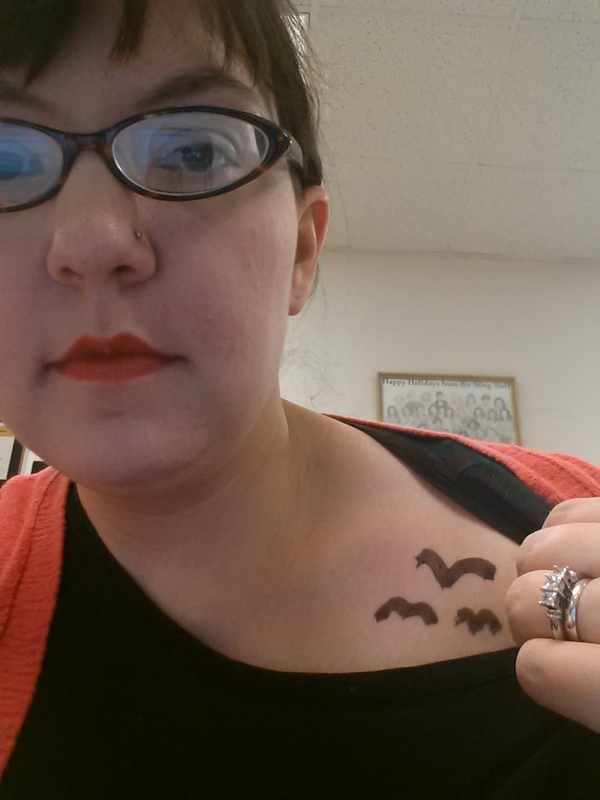 I drew birds on myself. 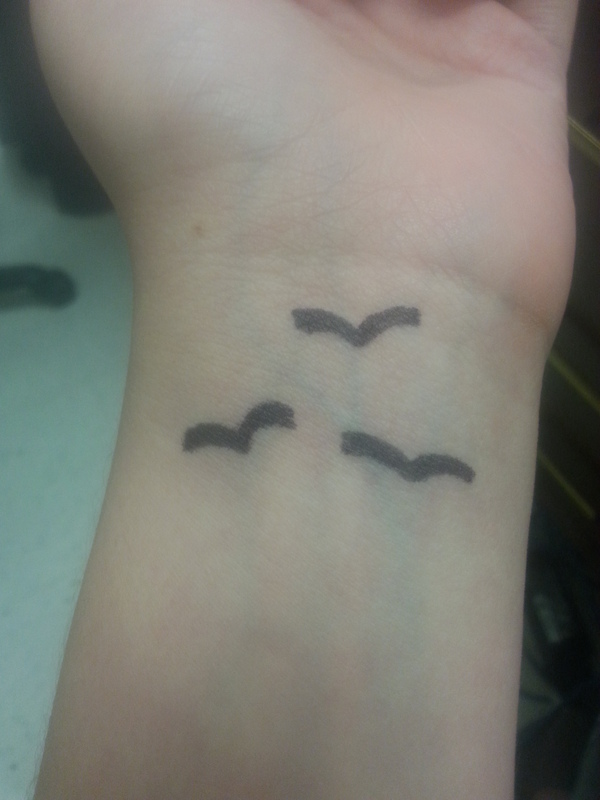 I drew practice birds on my wrist the day before and real ones on my collar-bone. I snapped a picture of it and posted it to Facebook and Instagram. I think I tweeted it too. My dear friend Beth is celebrating the anniversary of the stillbirth of her daughter Eve. I don’t have words that make this okay. I don’t have theology that makes this less painful. Instead I join the many women who are marking the remembrance of our friend’s daughter on our skin. We claim her pain as beauty and we wear it. It feels like prayer to me. I’m good at praying out loud, at praying in public. I am good at fancy words falling out of my mouth, at pausing at the right times. I was raised in the church and trained on the speech team. I speak the language. I have a lot of words. Lately those words have been falling short. Sometimes there just aren’t any. Your baby died before you ever got to hold her. You are wondering if your husband will live the rest of his life as a widower. Your dreams did not work out the way you thought they would. I don’t have words for those things anymore. I am tired of placing a band-aid of words over a gaping wound. This life is so desperately tragic sometimes. But slowly, I am learning. I am learning to sit in the pain, with those who are suffering. I am learning to find the deep and aching beauty in the ashes, rather than sweeping them quickly to the side. Ashes, if you let them lie, can lead to fertile ground. I am learning this doesn’t always come with words. I am learning there are other ways to pray. Beautifully written and ever so true ! Oh, Abby. This is so, so beautiful. And so true. Thank you for putting this pain down on the page. I truly believe when we do this more easily and more often, we are telling truth to the world in ways we all need and seldom ever get: we acknowledge and sit with the pain. And then we watch the ashes nourish that barren earth. Just wonderful. And other ways to minister beyond words…… just to be there can be great; to do a service they need; to acknowledge their pain; to stay with them as they battle through the heartache; to remember as you have done the significant events in their life. This feels like prayer to me, too. Thank you and thank you and thank you.